This month’s Grandview Woodland Area Council (GWAC) meeting will take the form of a presentation on Britannia Renewal and a report on transportation in Grandview. “Ms. 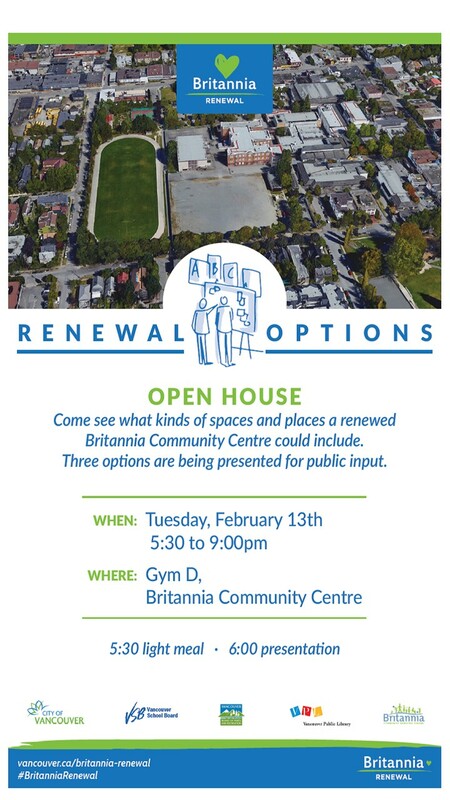 Cynthia Low, Britannia Community Centre Executive Director, will be addressing the meeting, providing an update on the plans and taking questions from the audience. The meeting is on Monday 9th April at 7:00pm in the Learning Resource Centre, under the Britannia Library. Everyone is welcome. 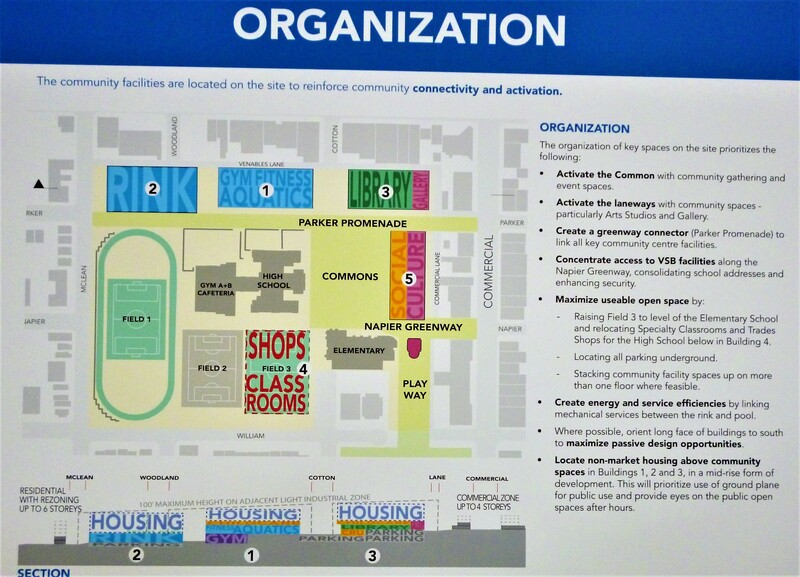 On Monday evening I attended the GWAC meeting at which planner Andrew Pask gave a form of update on where we are with the Grandview-Woodland Community Plan implementation. It was a well-attended meeting and not at all raucous as some may have expected. It is worth pointing first that Pask introduced himself as “the former planner for Grandview”. It was left unclear as to whether he has gone on to bigger and better things, and whether or not GW now no longer has a specific planner to talk to. 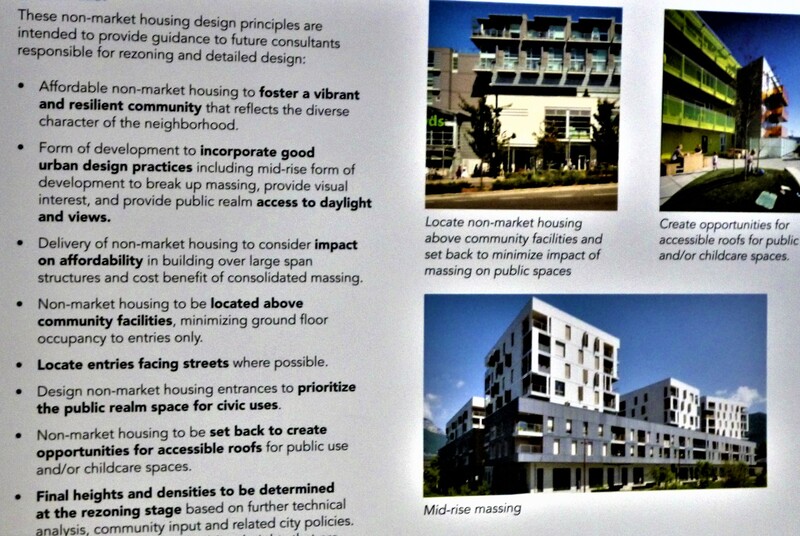 It was clear that Pask wanted to concentrate on how Planning is “saving” affordable rentals in the district. This is happening through the Pace of Change program under which only five applications for demolishing existing rentals will be accepted by Planning in the first three years after the Plan’s introduction (summer 2016 to summer 2019).. It was assumed that most of these would come from the RM zoned areas west of the Drive where the low-rise apartment buildings are concentrated. Applications for this program to date include the assembly at 11th and Victoria (10 storeys, mixed condos/rentals), an assembly on Broadway just west of Commercial (10-storeys, mixed condos/rentals, public hearing spring 2018, and 825 Commercial (6 storeys with a pre-application open house tonight). Another possible contender for the Pace of Change program is a development assembly at 1535 Grant where developers are seeking 6-storeys (an early open house is scheduled for 15th November at Lord Nelson School, I believe). Pask had no idea what would happen to this program at the end of the three years. He said Planning would make recommendations to Council who would then make a decision. It was noted this would be after the next municipal election. As for the Safeway site, he reviewed the arguments for and against the plaza on site, including Safeway’s strong reluctance. No application has yet been made, so we await further developments. On the Boffo Tower, he agreed that Boffo threatened to shut down the project this spring, and made sure we remembered Planning had approved only 9 storeys but they had been over-ruled by Vision’s Council majority who agreed 12. However, he did not mention the now well-known internal tension between Boffo and the Kettle. He did say they were anticipating a formal application — at last! — within the next couple of months. It is worth noting that I didn’t see (or recognize) a single Boffo or Kettle person at the meeting. 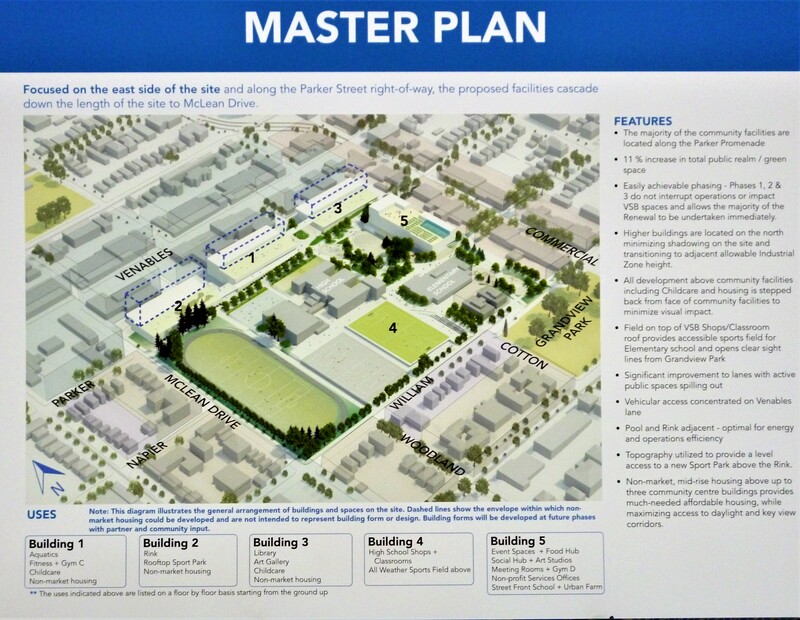 With regard to St. Francis, he noted that Planners had agreed with many residents’ concerns over the redevelopment on Semlin, and it seems the Church is now going back to re-study a redevelopment of the current school site on Victoria. 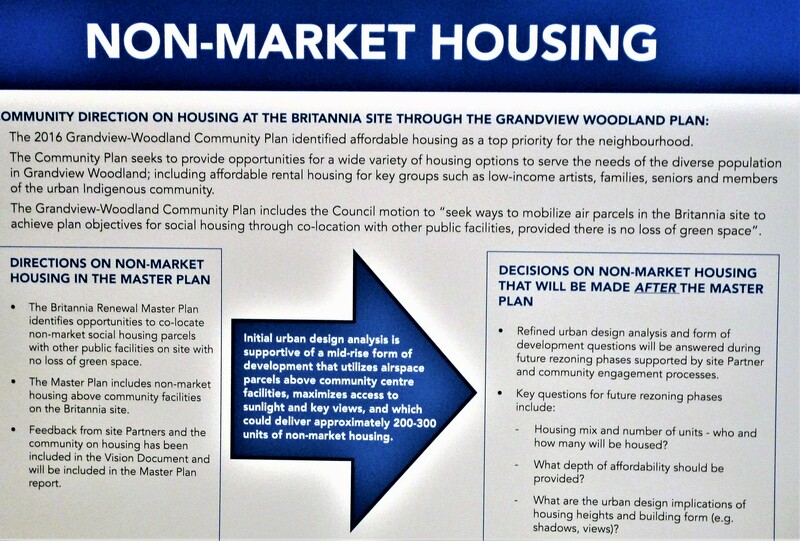 On the question of housing on the proposed redeveloped Britannia site, Pask made it clear that Planning had little to do with this project at this stage, as most of the land was held by School Board and Parks Board. He did make a case for putting housing on the site but noted any decision is still a long way off, and that no specific number of housing units was being targeted. There was also discussion about “air parcels” (i.e. building on top pf other buildings) and Pask agreed that Council had left “air parcels” undefined. 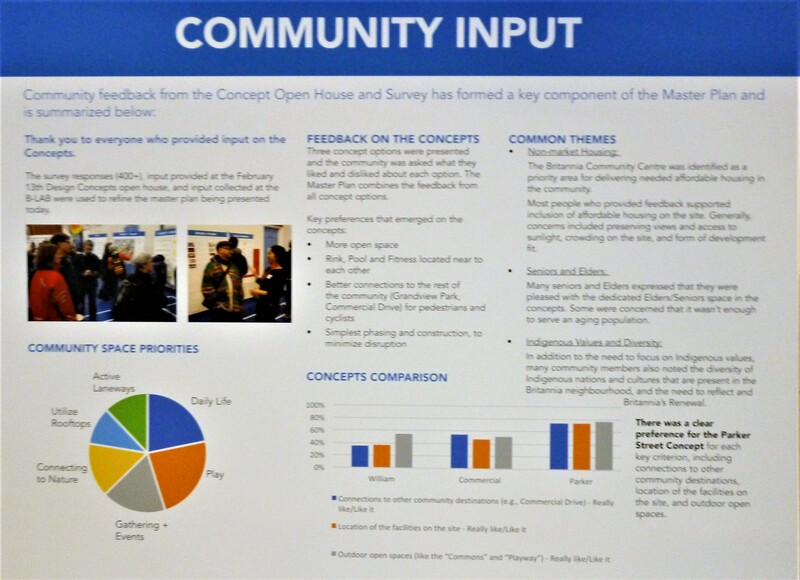 There was also a question of whether the Renewal Committee was using up-to-date demographics as they seemed to be ignoring the growing seniors’ population. One resident asked why, if the viaducts were coming down and Venables was being closed, why the Boffo Tower was even considered given the tower residents would be adding traffic. Pask said there was no question of Venables being closed, merely “calmed”. 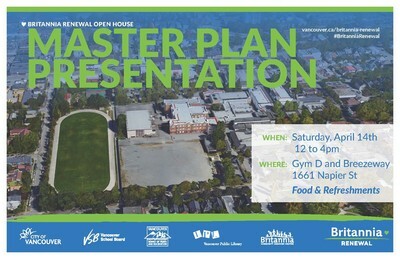 It was noted by several people that GW remains green-space deficient when compared to other districts in the City and that the Plan didn’t seem to help. Pask claimed the Plan included “extensions” and “improvements” to existing facilities but there were no details, He also made a case for “hard surface” public areas (plazas, closed roads, etc), but the audience clearly didn’t buy that. The issue of developing the industrial lands was discussed briefly. 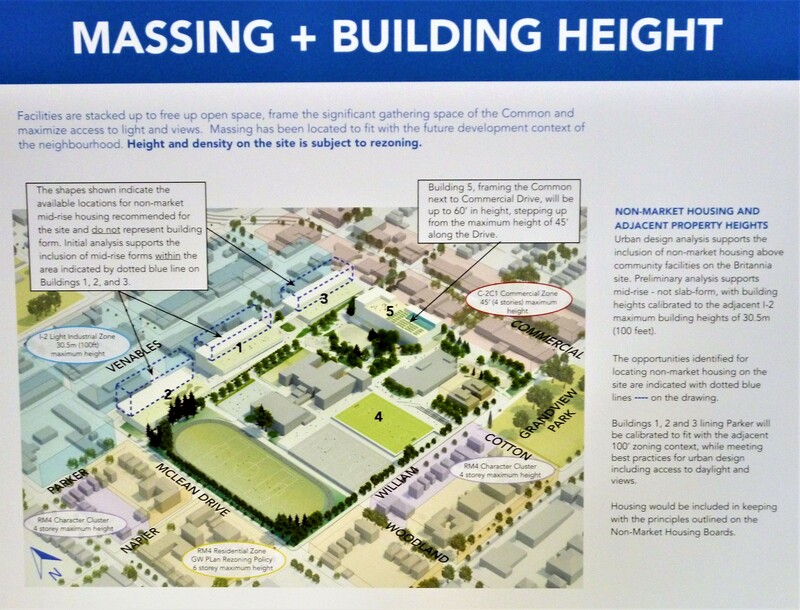 Pask notes that Vancouver needed to protect the small existing industrial base and that the Plan called for gradual densification of those areas with taller buildings rather than change of use. The move of St Paul’s hospital to Strathcona, and its effects on our neighbourhood, was raised as was the problem of AirBnB‘s effect on rental availability, but Pask didn’t have specific information to bring on those topics. The issue of planning permissions and how long they took and the massive expense was discussed. Pask said they were aware of the problems and hoped to do better in the future. All in all it is good to have a planner come and talk about these issues but did we really learn much? I’m not sure we did and, in the end, it just feels like another faux attempt at “consultation and public awareness”. You are currently browsing the archives for the Britannia Renewal category.